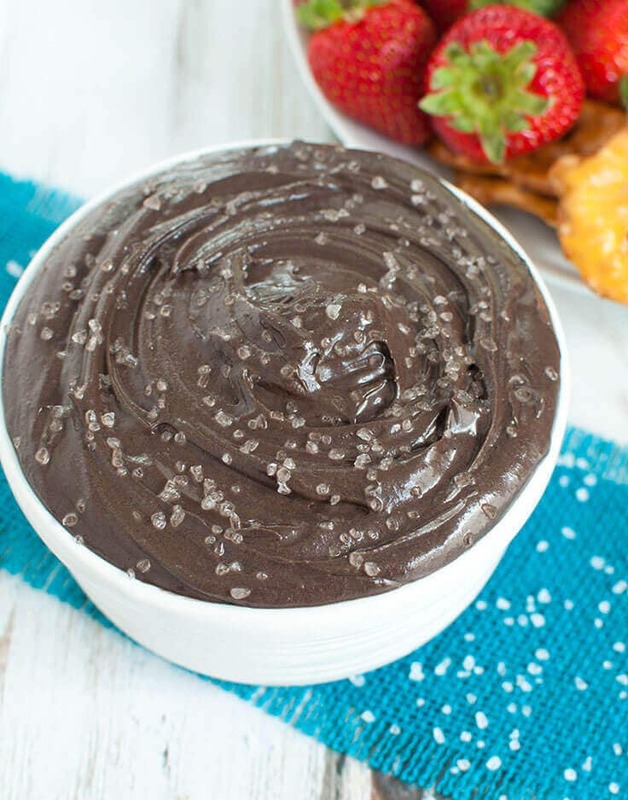 Dark chocolate and salt lovers rejoice- I have a new Dark Chocolate Fruit Dip with Sea Salt recipe just for you! 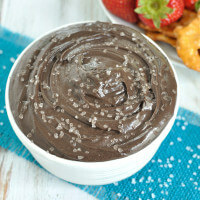 A touch of sea salt brings out the rich, bittersweet flavor of dark chocolate in an incredible and easy to make dip. The inspiration for this dip recipe came from one of my favorite food trucks- our local King of Pops cart features a chocolate sea salt flavor popsicle that is like a fudgecicle, but so much better! I love having one of those delicious treats on a hot day. Are food trucks a “thing” where you are? They are huge where I live and some of my favorite food these days comes from food trucks. We have food truck courts with 10+ food trucks which I think is super awesome. A brewery in our area hosts one once a week and it’s so fun to take our lawn chairs and hit up a bunch of different foods from local vendors while drinking local beer and hanging out with friends. We bring our dog too and meet lots of new people. I first tested this recipe with regular cocoa powder, but then decided I should try it with dark cocoa powder and I’m so glad that I did. The basic chocolate one was good, but the dark chocolate really helped to just “pop” with the sea salt. 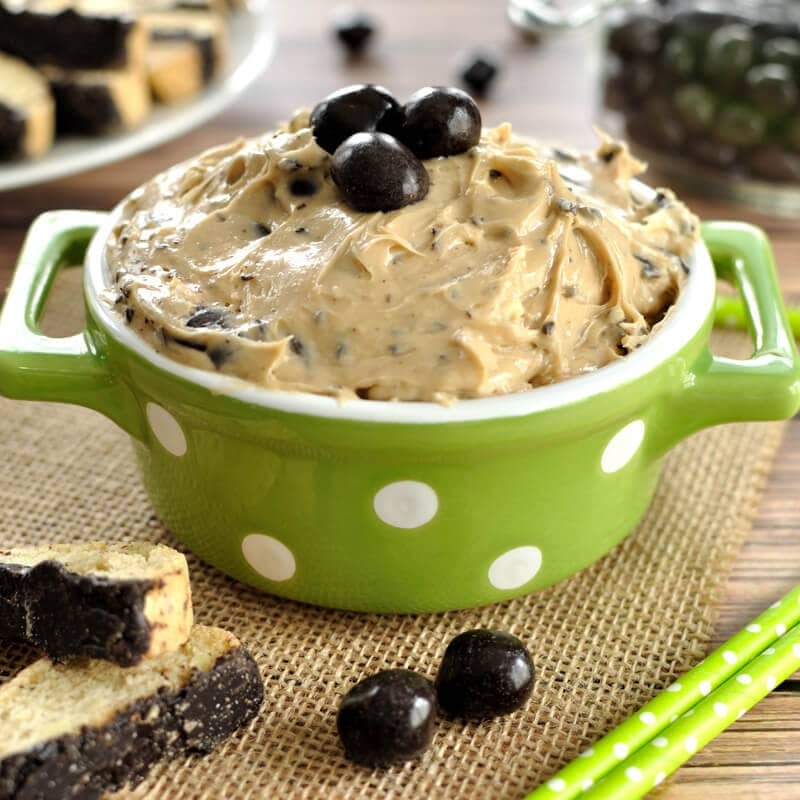 To top it off, this dip only takes 5 ingredients and can be whipped up in just 5 minutes. It can be made ahead of time as well and stored in the fridge. 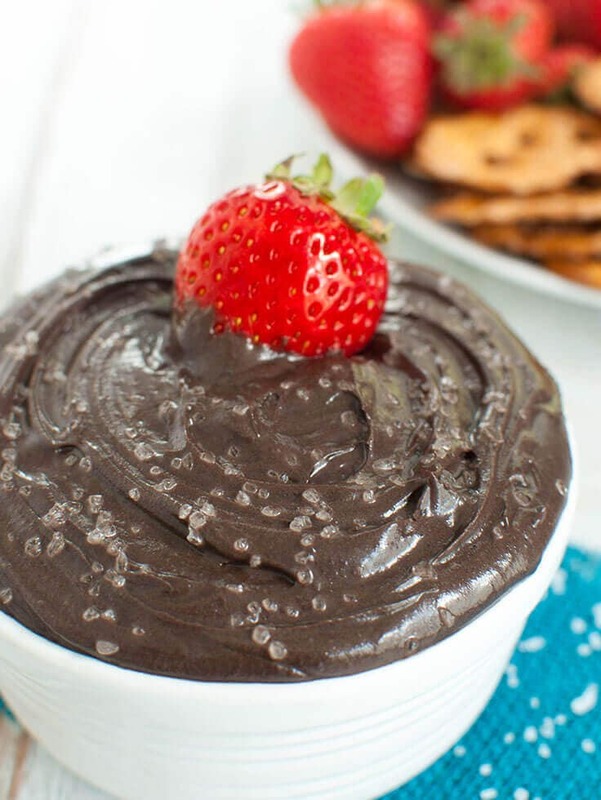 Fresh fruit pairs really nicely with this Dark Chocolate Fruit Dip. Pretzels or graham crackers would work well too. I took this to a party and people were even dipping chips into it. Hey, whatever, floats your boat 😎 I wouldn’t hold it against you if you just used a spoon either, lol. Easy 5 ingredient dessert recipe. 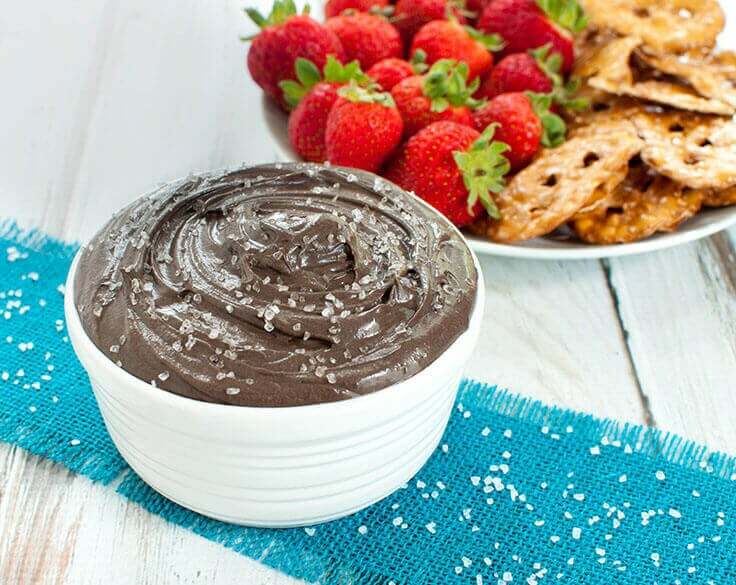 A touch of sea salt brings out the rich chocolate in this Dark Chocolate Fruit Dip with sea salt. Great party dip. 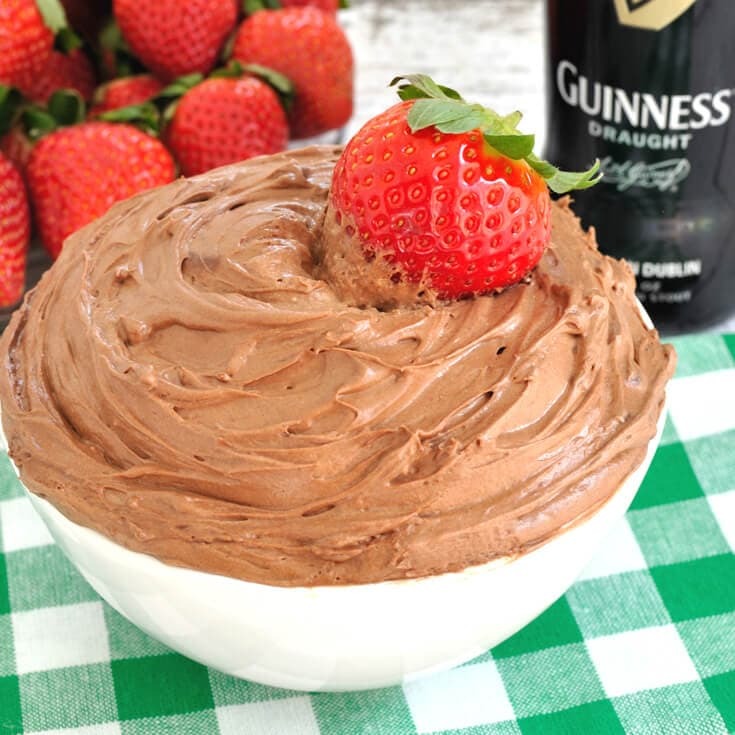 In a small bowl, beat the whipping cream until stiff peaks form. In a separate bowl, add the cream cheese. Using a mixer on medium speed, beat the cream cheese until smooth. Slowly add in the powdered sugar and cocoa powder and mix until well combined. Fold in the whipped cream until fully incorporated and mixture is a nice dark chocolate color. Optionally, top with course ground sea salt. 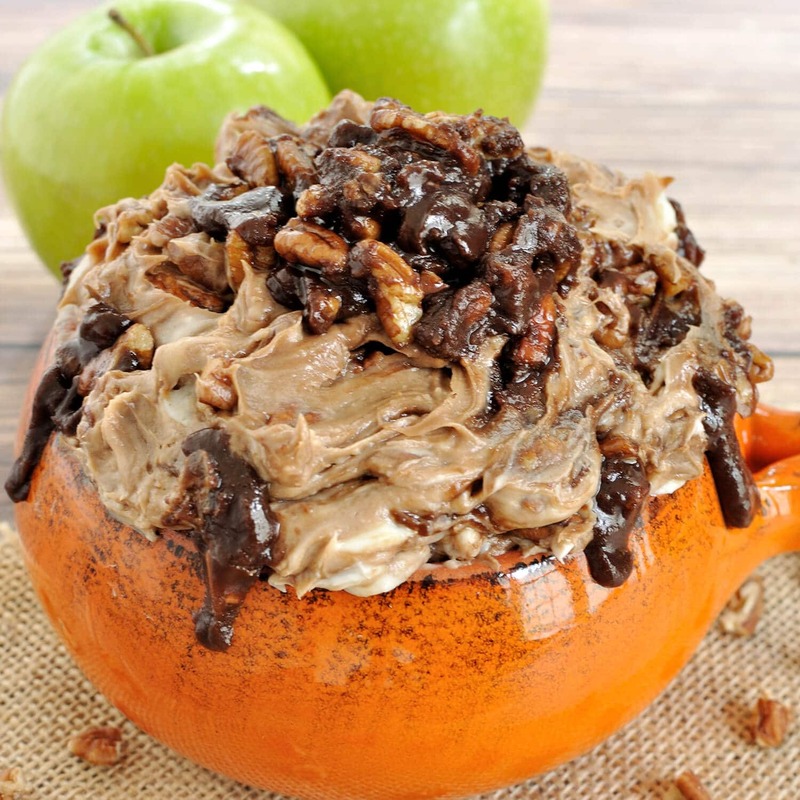 Serve immediately or store in an airtight container in the refrigerator until ready to eat.